I know… It’s Tuesday. But it is my first time joining this linky and I did not want to miss it! I have had the same velcro boards for years. I use them to display helpers, fast finishers options and many more. It looked great at the beginning of the year but then if faded and looked messy. Both are done with IKEA red magnetic board. I just printed the jobs, laminated them and added some old vistaprint magnets that were left from back to school. For the helpers board I used some IKEA magnets too. I wrote my students’ numbers on each one of them. 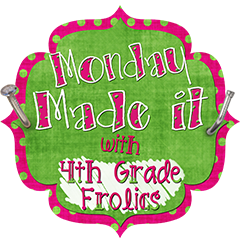 Check out 4th Grade Frolics to see what others did! Thanks for the linky, Tara! 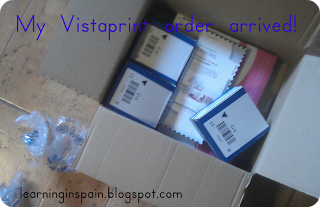 My vista Print order finally arrived! Back to school is still far away (we don’t go back until September). But all those sales, linkies and classroom photos make me feel like I am ready to go back.
. She has hosted a wonderful post with great ideas for Vistaprint orders. 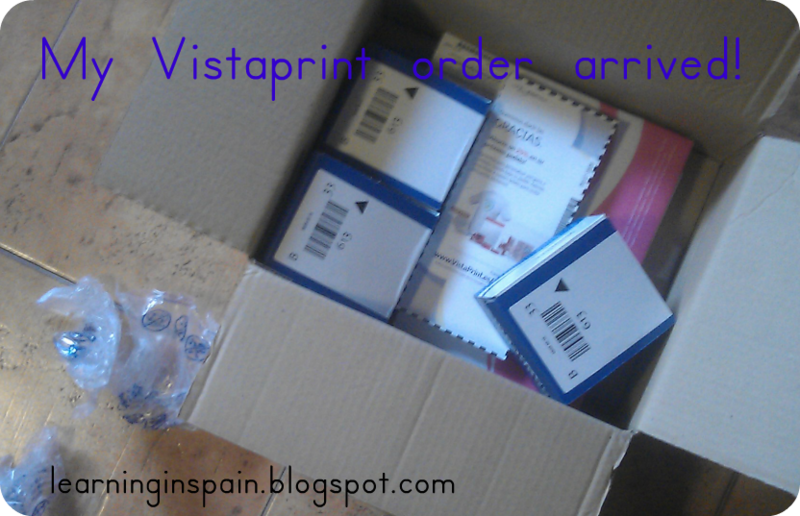 I assume that most of you know about Vistaprint. 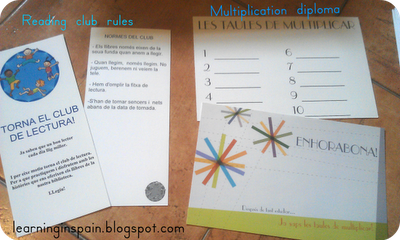 But if you don’t you should check the site: Printed resources for almost nothing! 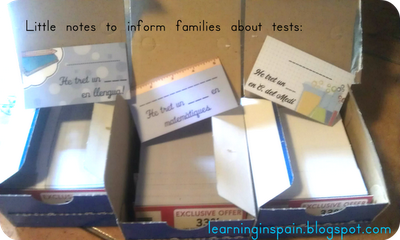 I always send home homework related to the test during that week to reinforce it a little bit. I have some blank magnets too. What can I use them for? I don’t know yet, but they were free so I got them! And last, I did this Reading club cards to inform about the reading rules. They use them as a bookmark. I also got those diplomas. It says something like ‘Congratulations! After so much studying you learned your time tables.’ It really sounds better in valenciano… On the back I can write down the dates when they master each table. And now you have seen everything in my Vistaprint order. I can’t wait to show it to my students. 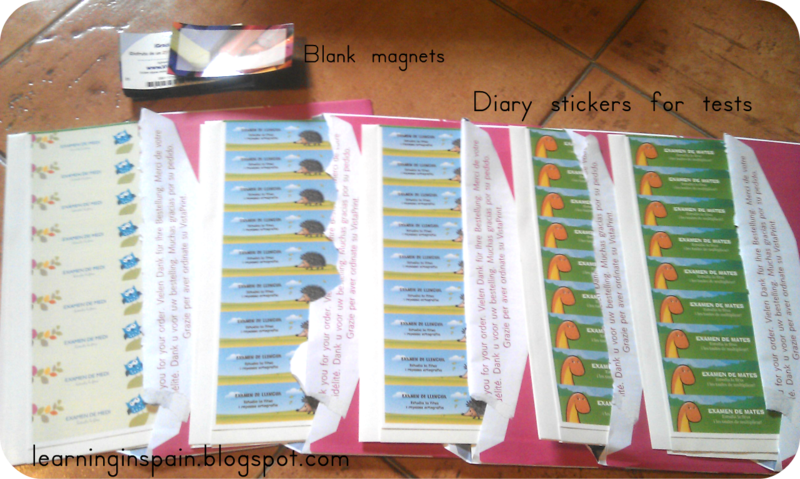 Thanks Christina for your linky party, now I can think of more ideas and set a new order! Laura Candler has organized a great linky party for all of us: Creating a Caring classroom. Back to school is the perfect time of the year to work on this. The more you work on it the better results you get through the year. During my teaching years I have tried some classroom management plans. But I always changed them in a couple of years because kids don’t follow I’m not consistent. 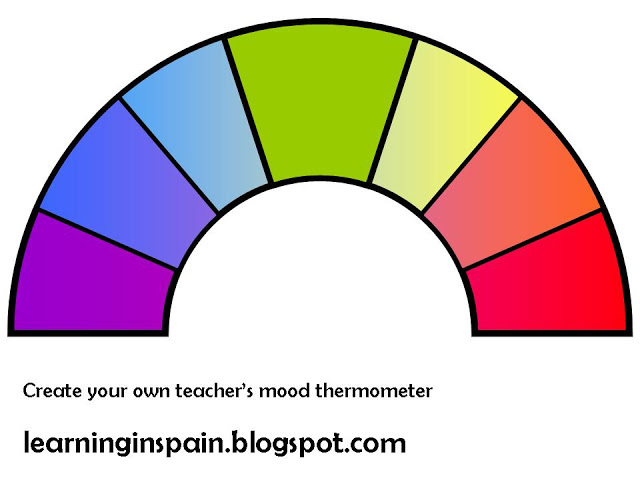 The one I use now is simpler, fun, creates group sense, it’s FREE and basicly teaches students about our mood thermometer. We need to respect each other and understand that their acts have consequences. Visit the rest of the teachers that participate to read about their great ideas! 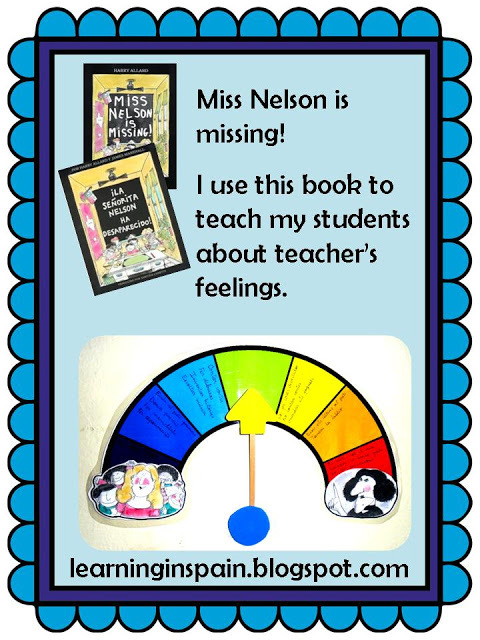 I discovered Miss Nelson is Missing some years ago. They had a Spanish edition so I bought it as a Back to School Read Aloud. It was one of my students favourites for many years. They loved the main characters so I decided that I needed to use it somehow. I created a rainbow and a small pointer. I told my students that sometimes teachers get tired and don’t feel like playing or laughing, sometimes teachers are happy and say jokes. PURPLE means SUPERHAPPY like Miss Nelson and we get a point for the end of the term party. BLUE means HAPPY and we decided that we could do some Experiments and crafts. LIGHT BLUE means Read Alouds, concentration music and creative writing. GREEN means Ready to Learn. YELLOW means a little UPSET. They need to behave a little better. We can’t use manipulatives or Read Alouds. ORANGE means quite UPSET. We cannot use the classroom library and we are the last ones that go to the playground during recess. RED means MAD. I have only arrived here 3 times in two years. This means no trips, no fun and no recess. It’s quite simple and even my specialist use it when they are in my classroom. I’ve had lots of compliments. 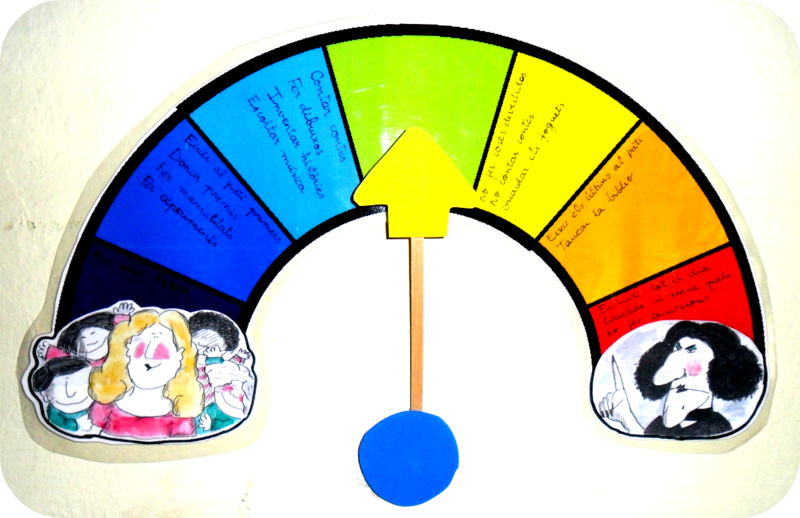 We start our day on the green zone and then I go changing it when necessary. My kids love arriving to the purple zone because I act like Miss Nelson and start giving lots of non sense funny compliments. Once I even dressed up as Miss Nelson (blonde wig and cute dress). I love this management system because it simple, builds community and I don’t spend money on rewards. I have included two thermometer patterns. Feel free to use them in case you want to try it! So what do you use in your classroom?